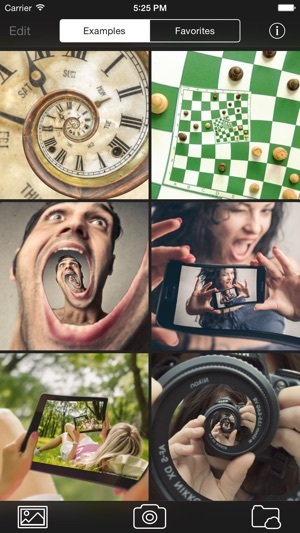 HyperDroste lets you create amazing droste effect images and animations from your photos. What is the Droste Effect? 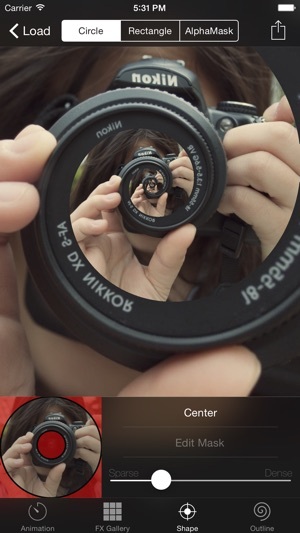 The Droste effect refers to an image that appears recursively within itself. 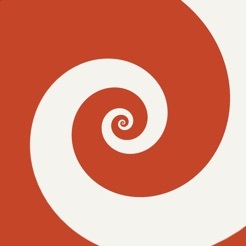 A spiralling form of this effect was popularised back in 1956 by MC Escher, a famous Dutch artist, with his work named "Print Gallery". You can change the parameters of the droste effect and instantaneously observe the changes in the real-time animation preview. You can export your creations as animated GIFs, high quality videos or still images. You can import your photos from Dropbox, iCloud Drive or similar cloud storage services (requires iOS 8 or later). The parallax effect dynamically shifts the perspective of the image according to the device orientation, creating an impressive 3D effect. 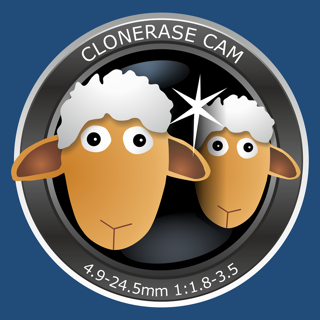 The FX Gallery lets you directly preview the available Droste Effect options. If you need help, a brief in-app tutorial will guide you through the required steps. The app includes a number of examples to let you know what kind of images it is possible to create and to inspire your imagination. Post your creations to social media directly from within the app. This is one of the coolest photography apps in the app store! 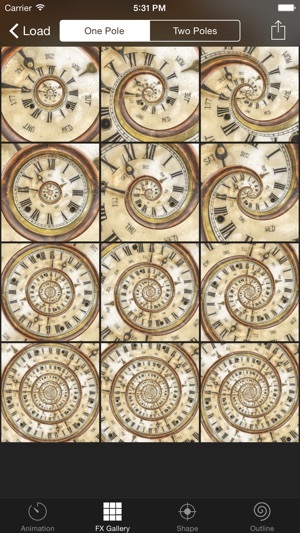 - The droste effect works best when your photo includes some specific subjects, like a clock, a frame, a door or window, or similar objects. Look at the provided examples to get some inspiration. - If you want to use an alpha mask, you can draw it inside the app, but you will get better results if your photo already has an alpha mask in the alpha channel. You can edit the alpha channel in any external photo editing app. - Added compatibility with iOS 7.1 (for those who have not yet updated to iOS 8). - You can now change the outline color. - Several bug fixes and improvements. There is one huge problem. The mask is a great thing. However, it would be so much better if we could zoom into the photo as opposed to just magnifying the area. It doesn’t magnify enough and so the mask area comes out a bit pixilated because we can’t fine tune the area. I love it otherwise! Please consider making a pinch zoom possible. I was hesitant to buy an app that hadn’t been updated in four years and had so few reviews, but I’m glad I did. The photos I used produced some good results. There are still some styles I want to try, such as taking a tilted photo to be modified, but so far I’m very satisfied. And I had no idea the resulting photo files would be so large (10-12 megabytes), but I’ve had no trouble downloading them. 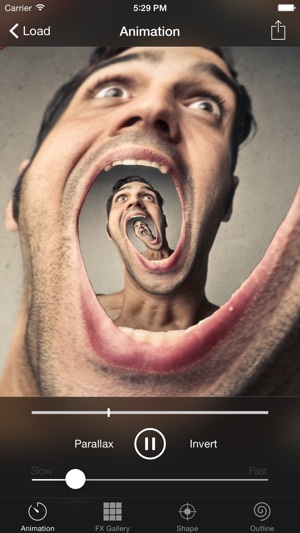 this is the king of droste effect apps. there are so many parameters to work with, and creates incredible results. 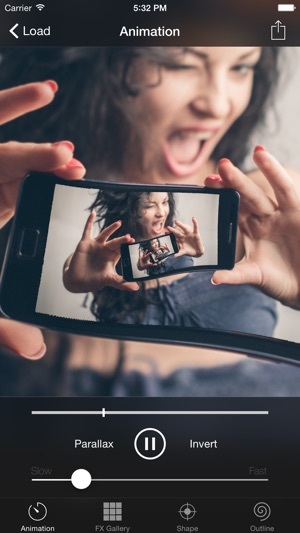 if you want to produce creative works this app will give you an alternative edge to other effects, still or video. The saved resolution is the highest I've seen with droste apps on the market as well. It's strange that so few people know of this app, but I guess that's kind of typical with unique creative software. This is my second review, just to keep the reviews fresh to show that the app is real cool. To dev: the parralax effect is really cool and adds to the overall effect. If it can be saved into the video that would be insane!